Born on the 16 February 1997, Priscila Opoku Kwarteng known in showbiz as Ebony Reigns was the most popular female artist in Ghana between 2016 and 2017 until her untimely death on 10: pm Thursday, 8th February 2018. Ebony Reigns together with her best friend, Francisca Yaa Nkansah aka Frank Kuri and a military officer who was serving as her bodyguard, Airforce Lance-corporal Francis Atsu Vondee met their death on the Sunyani – Kumasi road, a few kilometers from Bechem in the Brong Ahafo Region after their 4X4 Jeep collided with a VIP passenger bus going the opposite direction. Only the driver survived. 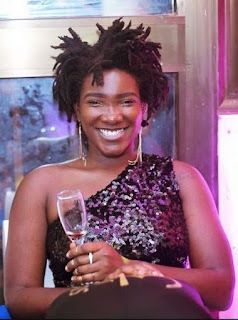 According to reports Ghpage.com gathered, Ebony Reigns went to Abesim, a suburb of Sunyani in the Brong-Ahafo Region to pay a surprise visit to her mother who had recently arrived from the United Kingdom. Interesting, this is the first time Ebony Reigns has traveled to the Brong Ahafo Region with a car.She always travels by airplane. Ebony Reigns was introduced into the music industry by Bullet of Ruff and Smooth fame in 2015. Bullet ended by managing her until her demise. She was signed unto Bullet’s Rufftown Records and Midas Touch Inc. The first song Ebony released was titled ‘Dance Floor’ and it earned her a nomination for Reggae Dancehall Artist of the year as well as New Artist of the year in 2016 Ghana Music Awards. After the news went viral that the sensational Dancehall diva has perished in a gory accident, many prophets have come out to reveal they predicted her death before it happened. Amazing none of them did anything about it when they supposedly saw it. In an interview after Ebony’s death, Bullet revealed that Ebony was about to start an Europe tour and was supposed to travel to the UK on Friday and unfortunately she died a day before she could travel. Bullet also revealed that they were in talks with Akon of Konvict Music who wanted to sign her unto his record label. Do you know Bullet gave Priscilla Opoku Kwarteng her stage name Ebony? Yes, he did the very first day they met. And today, 16thy February 2018 would have been the 21st birthday of Ebony Reigns. May her gentle soul rest in perfect peace.